Length: 16 mm. 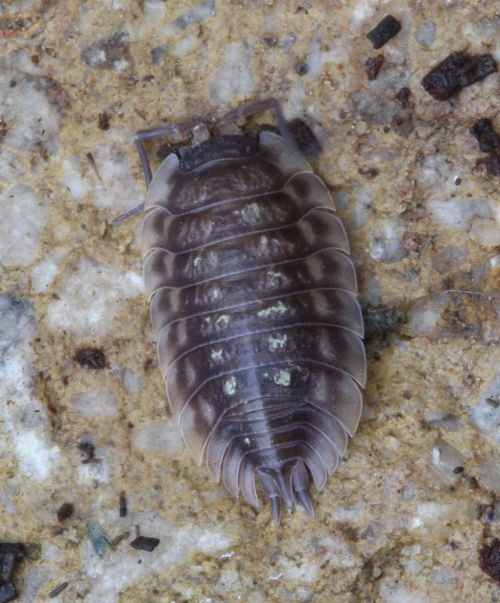 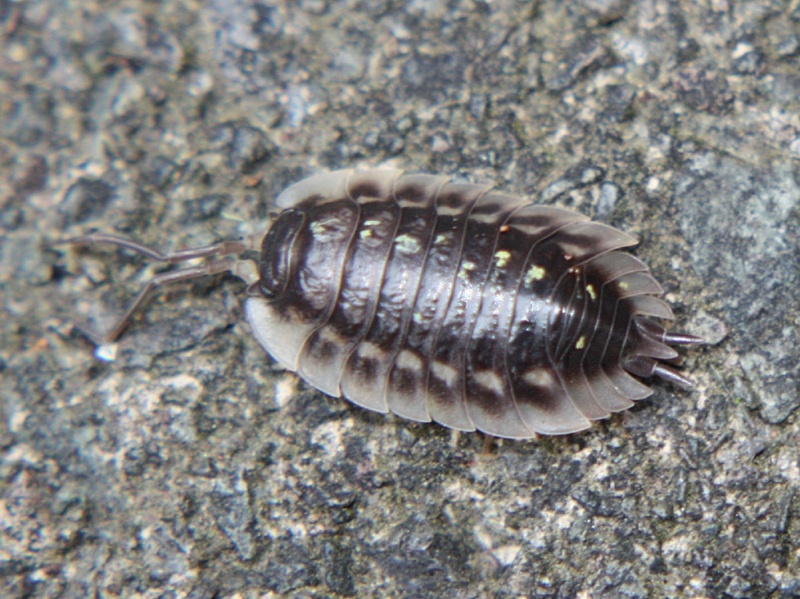 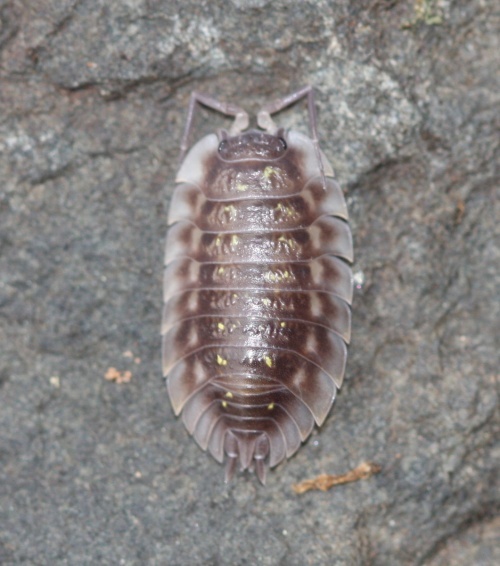 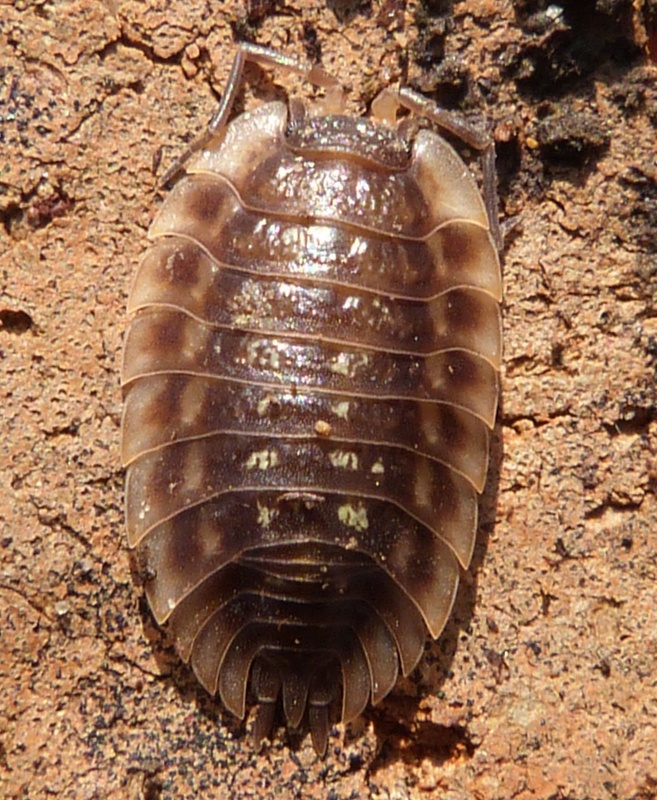 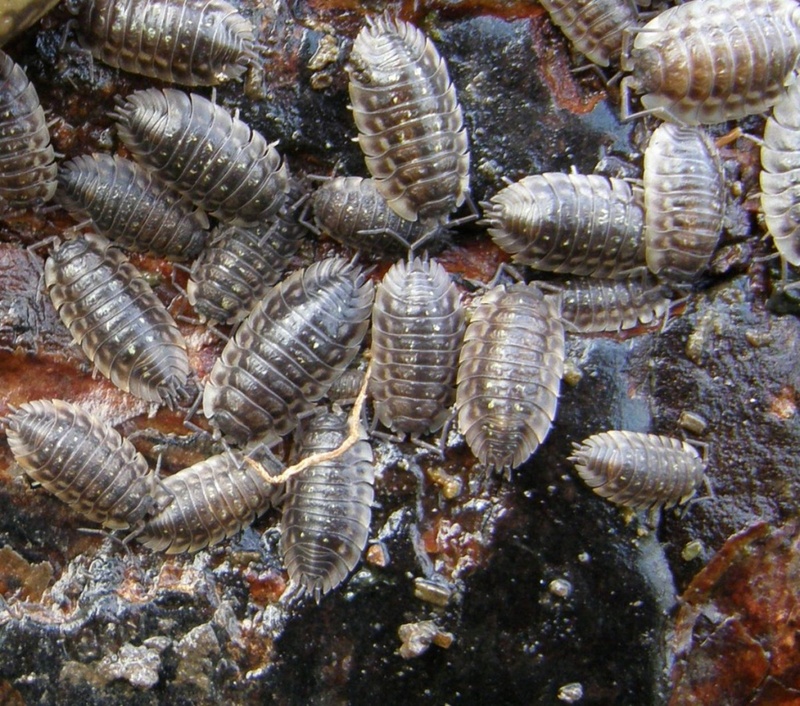 The common woodlouse is typically grey with irregular light patches. 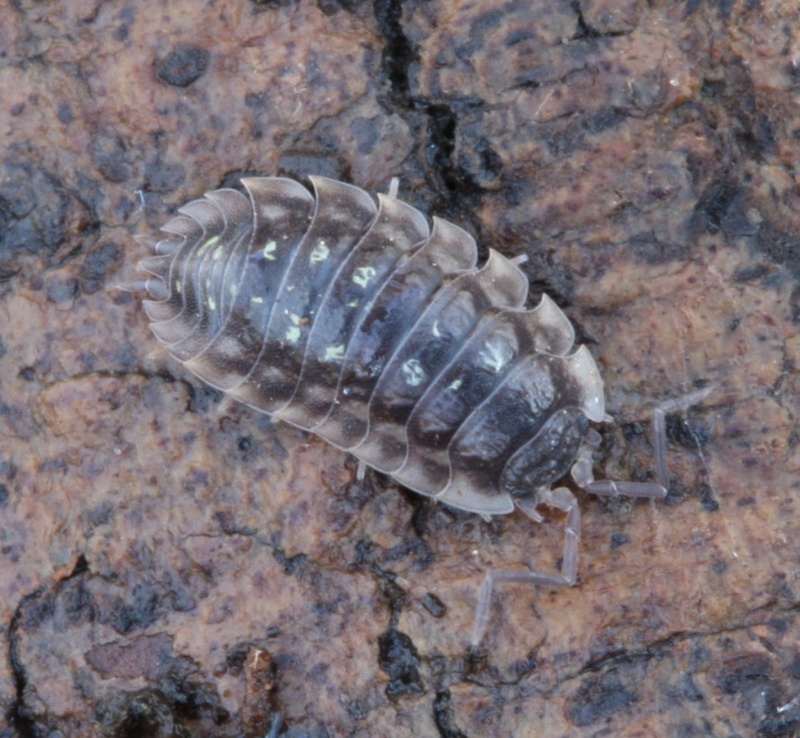 The surface of the body is dotted with raised blotches; adults usually have a glossy body, but in contrast juveniles often have a rough body texture. 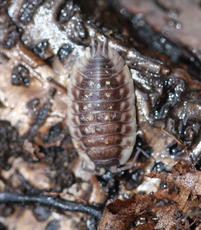 All Oniscus species have antennae with three flagellal segments at the tip. Occurs in moist places in many habitats, and is frequently found under bark and amongst leaf litter in gardens and woodlands. 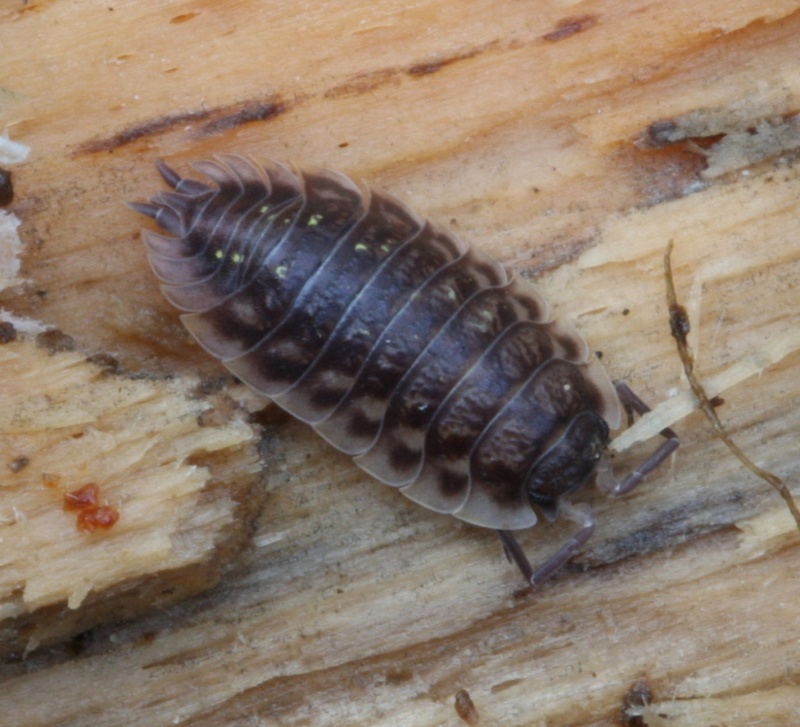 This species avoids dry habitats, and unlike many woodlice, it can tolerate acid soils. Feeds on dead organic matter, which it detects by means of taste and smell. 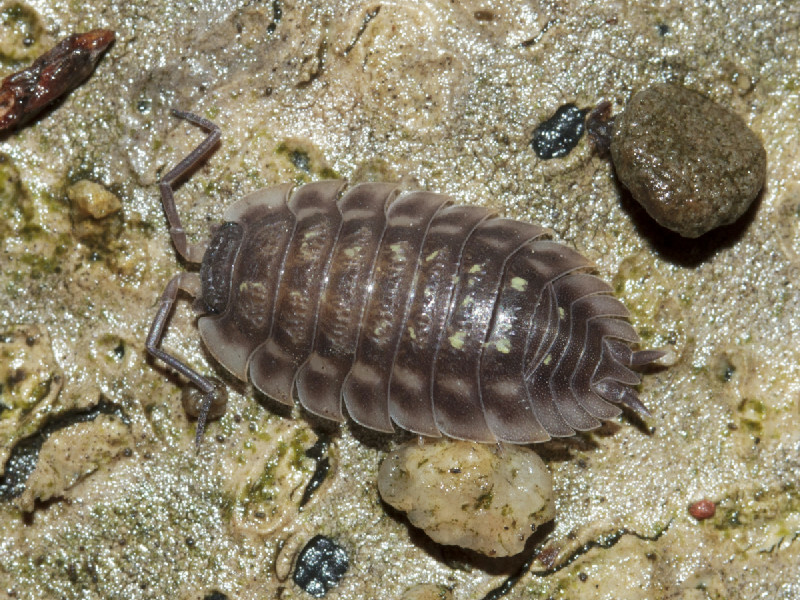 Mating tends to take place at night, and for this reason is very rarely observed. When a male finds a receptive female, he climbs onto her back and drums her with his front legs whilst 'licking' her head with his mouthparts.